Reva Institute of Technology and Management Bangalorecomes under REVA group of educational institutions which was established within the year 2004 below the aegis of Rukmini educational trust. REVA group of institutions is in the in urban center at Ganganagar, Sanjaynagar and Kattigenahalli. The head institution at Kattigenahalli is well equipped in thirty five acres of land with good standard amenities. This sprawling campus is found simply off Bangalore International Airport making it convenient for foreign students taking admissions to varied courses. 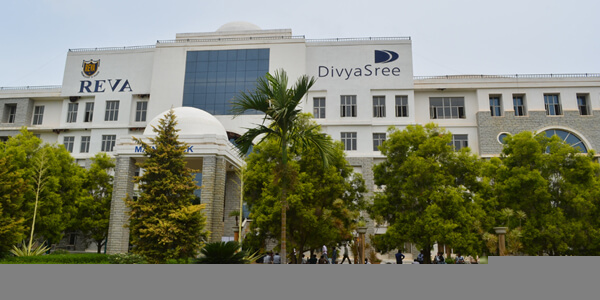 The different choices accessible here are Engineering course in computers engineering, electronics and Communications Engineering, Electrical and electronics Engineering, IP Engineering, Civil Engineering, Master in Business Administration(MBA), MCA, PGDM, MSc, B Tech, M Tech, BSc, BCA, BBM, BBA, B.Com, B.Ed, PUC and admission for same are available. The courses are related to Visveswaraya Technological University, Bangalore University and state Pre University Board respectively. Students can get fee structure details and they also go for nri quota, direct admission and management quota. Reva Institute of Technology and Management Bangalore was incepted within the year 2004 and is related to Visvesvaraya Technological University (VTU), Belgaum and is also approved by All India Council for Technical Education (AICTE), New Delhi. The college has wonderful outdoor sports facilities like cricket ground, tennis court, basketball court etc and a spacious swimming pool. It’s facilitates students with high speed wireless networking, latest pc with legal softwares and dedicated net lines, well-equipped laboratory, centrally set modern spacious library with good collections of books, journals, browsing centre etc. Placement activity is given highest priority. All efforts done with responsible to boost technical and soft skills through numerous development programs so that the scholars are ready to knock the door of the finest firms within the industry. Student’s should be more than 50% Aggregate Marks for UG and PG Degree from a recognized University.